What are you reading next? Atlantic County Library System/Egg Harbor Township offers Computer Literacy and Training during regular library hours. Interested adults should call for an appointment for a one-on-one session to learn the basics of Internet searching, email or Microsoft Word. Atlantic County Library System/Egg Harbor Township is located at 1 Swift Avenue and may be reached by calling 927-8664. What is your library saving you? How much would you pay out-of-pocket for the library services you use? Atlantic County Library System/Mays Landing is going to the dogs! For the month of July there is a comprehensive display explaining the services and therapy that well trained dogs can supply. 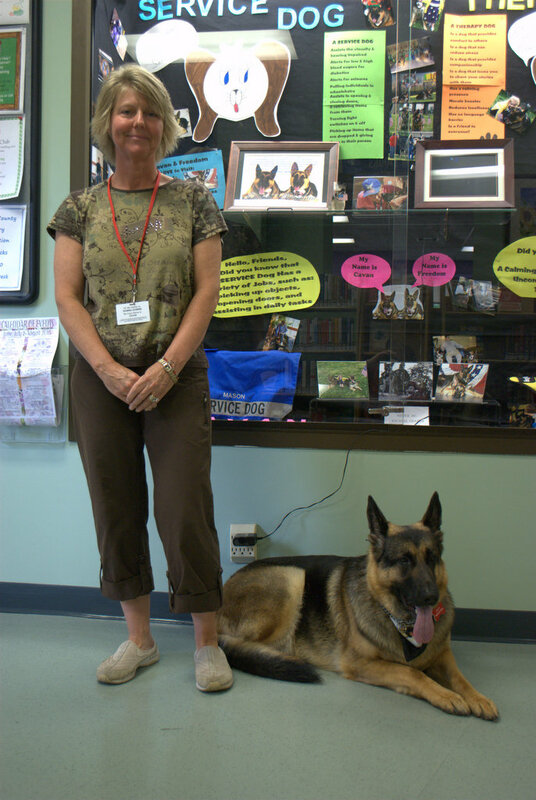 Freedom and Cavan are two service/therapy dogs featured at the library in Mays Landing during the month of July. Freedom is a proud member of Rolling Thunder Chapter 4 – New Jersey, a veteran’s advocacy group. Freedom also makes regular visits to the Veteran’s Home in Vineland. Therapy dogs provide companionship, reduce stress and loneliness and love for you to share stories. Service dogs visit hospitals and veteran’s organizations; they assist the hearing and visually impaired; and they provide alerts for high/low blood sugar for diabetics as well as alerts for seizures. 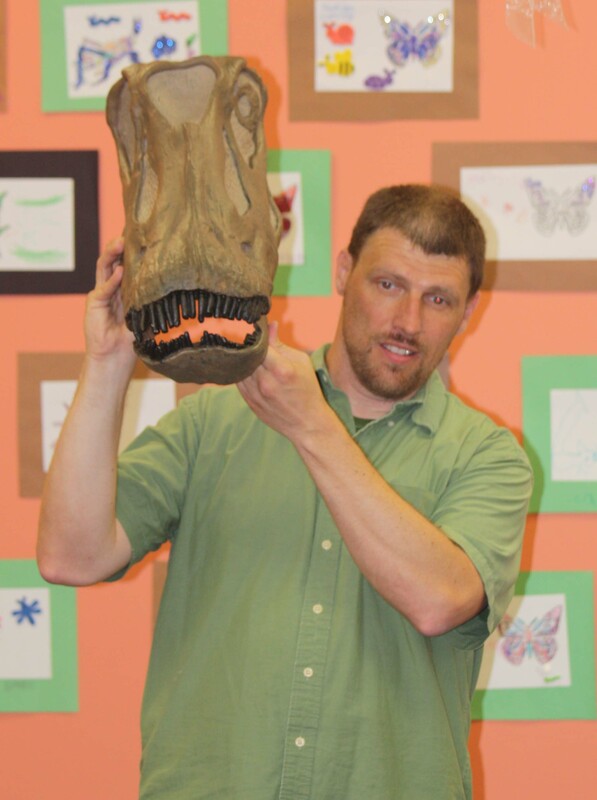 Paleontologist Dr. Matt Bonnan of Richard Stockton College of New Jersey presented a special program about dinosaurs on Tuesday, July 16 as part of the Dig Into Reading summer reading program at the Egg Harbor Township Branch. Read more about Dig into Reading!